Beer-centric cocktails can turn an average game day into a spectacular one—even if your team doesn't bring home the victory. Add these recipes to your line-up and your friends are sure to enjoy the party. None of them are too fancy, so they're great with Super Bowl snacks, for tailgating, or a summer cookout. You'll find a variety of flavors—from savory spice to sweet and tart—and they're all easy to mix up. Edna's Lunchbox gives citrus beer a whole new meaning! 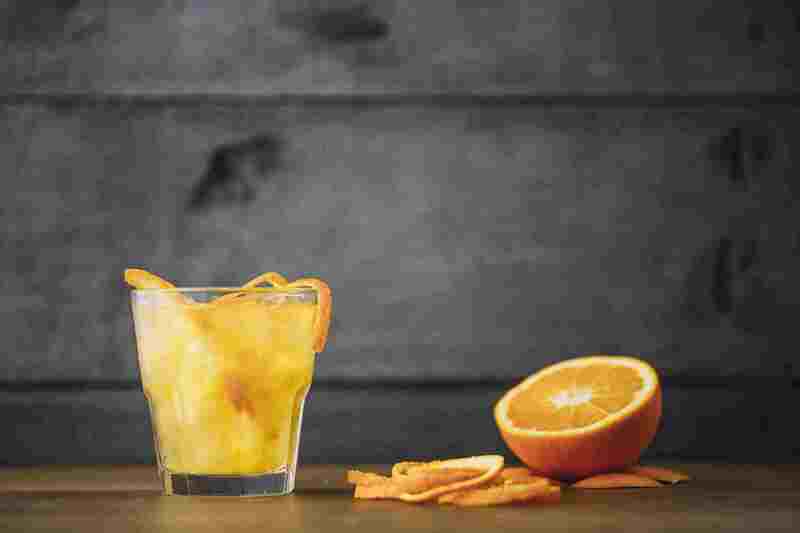 It's easy to mix up, too, calling for equal parts beer and orange juice with a shot of amaretto. It seems a little strange, but the end result will surprise everyone (in a good way!). The michelada is a game day classic. 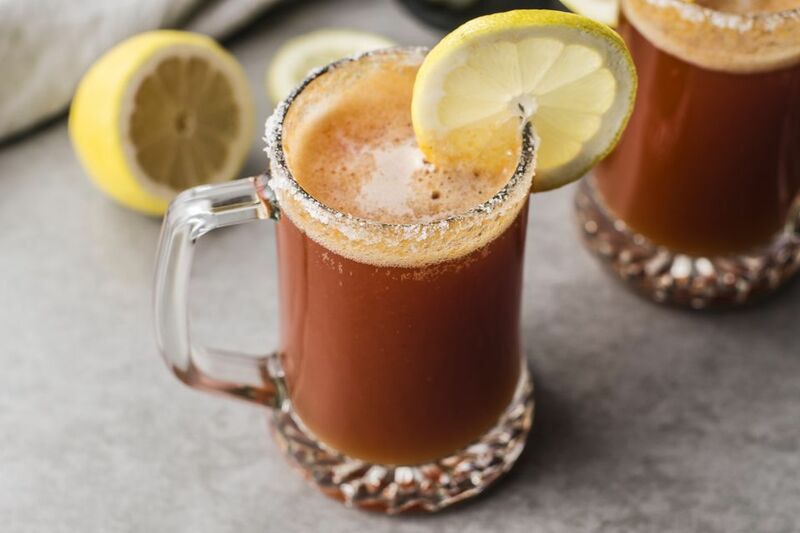 This spiced up Mexican beer cocktail is filled with savory ingredients, including soy, Worcestershire, and hot chili sauces. For the best drink, be sure to pour a dark Mexican beer that's ice-cold. There's no need to choose between a margarita and beer with this recipe. Beergaritas are a ton of fun and a great excuse to fire up the blender during the commercial breaks. Just grab your favorite tequila and Mexican beer, add some limeade and ice, and give it a whirl! As you might expect, the Mexican michelada bloody Mary has everything that's great about those two classic drinks. It combines healthy doses of tomato and lime juices, includes a long shot of tequila and tall pour of beer, then adds a spicy kick. Better yet, it serves two, so that's less mixing for you. Cheer on your team while enjoying a round (or two!) of beer-flavored jello shots. The Guinness and Green shooters are a funky twist on the jiggly party favorite, layering a green Irish cream gelatin on top of one flavored with the famous stout. They really are as fun to make as they are to eat. For a morning game on a cold day, few drinks can beat red beer. It's the bloody Mary for beer drinkers, but so much easier to prep. All you need is your favorite beer and a couple ounces of tomato juice. Finish it off with a pinch of salt and enjoy. Also incredibly easy, the chelada is perfect for anyone who doesn't like spice and isn't in the mood for tomato juice. It simply dresses up a light lager with a lime juice and serves the drink over ice. It may sound simple, but it's good! You're just three ingredients away from a cocktail that makes a vanilla porter even more delicious. In the Raspberry Snakebite, hard apple cider and raspberry juice dress up a dark beer with a perfect fruit medley that's surprisingly tasty. When you want to show off your bartending skills, make a black and blue. The trick to this popular bar drink is to slowly pour the Guinness over the back of a spoon so you get a perfect layer. Luckily, if you stick with Blue Moon as the bottom beer, it's pretty hard to mess up. The word "unique" only begins to describe this beer drink. It's true, though, that the Beer, Bourbon, and Barbecue cocktail includes all three of those ingredients—that's right, even BBQ sauce. It's interesting, rather tasty, and definitely an experience. Got Guinness and cola in the fridge? Then you have the makings for a Trojan Horse! It's a great way to give new life to the dark stout and incredibly easy to mix up. Since each ingredient requires half a pint, make two at one time. After all, no one likes to waste beer! It's essentially a shandy made with Spanish beer, so the Clara is both familiar and somewhat different. This recipe uses equal parts beer and lemonade, giving it a nice balance and a refreshing taste. It makes two drinks and is best when served in frosty mugs. When you can't decide between tequila and beer, go ahead and mix the two together for a Corrido Prohibidos. This simple drink is perfect for tailgating because you only need those two ingredients. Of course, the salt rim does make it a little better, but it's not required. There may be times when you want to go all out on the beer cocktails and get your chocolate fix simultaneously. That's when you'll want to try the Hard Rock Cafe's Twist and Shout. Think of it as a chocolate Guinness and spiced rum milkshake with a salted caramel twist. And, yes, it is utterly delicious! It's not technically a "cocktail," but sitting down with Boilermaker in front of you is a great way to watch any game. It has been enjoyed by millions of fans in thousands of bars with the TV tuned into "the game" for decades. Pour one for yourself and you're sure to discover why it's perfect for moments like this.